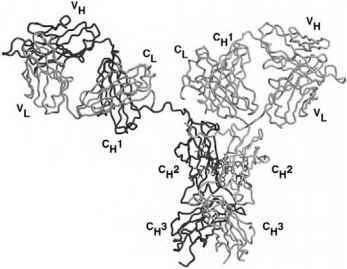 large number of different light and heavy chains are formed and then paired to generate the intact antibody. The antibody heavy-chain genes are created by V(D)J recombination , where the gene is generated by the recombination of the variable (VH), diversity (D), and joining (JH) segments. Extra nucleotides (N and P) can also be added at each recombination site. The light-chain genes are assembled in a similar fashion from a VL and a JL segment, with further N additions. For humans, there are 51 VH [33,34], 6 JH , and 27 D [36,37] segments, resulting in over 8000 different possible heavy-chain gene combinations. There are 40 Vk , 5 Jk , 30 VX , and 4 R  genes, plus N additions, that can be combined for at least 200k and 120^ chain combinations. These heavy and light chains can then be further modified by somatic mutations. The immunoglobulin G (IgG) class of antibodies is the best studied structurally of all the different antibody classes, although IgA and IgM Fab fragments have also been structurally elucidated. Figure 1 Crystal structure for the intact, HIV-1 neutralizing, human antibody b12  (PDB code 1HZH). The two light chains are colored cyan, and the two heavy chains are colored blue and yellow; carbohydrate in the Fc portion is colored red. The two Fab domains are shown at the top of the figure (VL, Vh, Cl, Ch1), connected to the Fc domain (Ch2, Ch3 dimer) by flexible protein linkers that allow the two Fab arms a great deal of flexibility with respect to each other and the Fc domain. All figures were prepared with MOLSCRIPT  and rendered with Raster3D [71,72]. For color figures, see CD-ROM version of Handbook of Cell Signaling. the Fab fragment is fairly rigid, but the Fc fragments can show intra-fragment mobility (see Chapter 8). The Fab fragment is the portion of the antibody that recognizes antigen, and it does this via six loops termed the hypervariable or complementarity-determining region (CDR) loops. 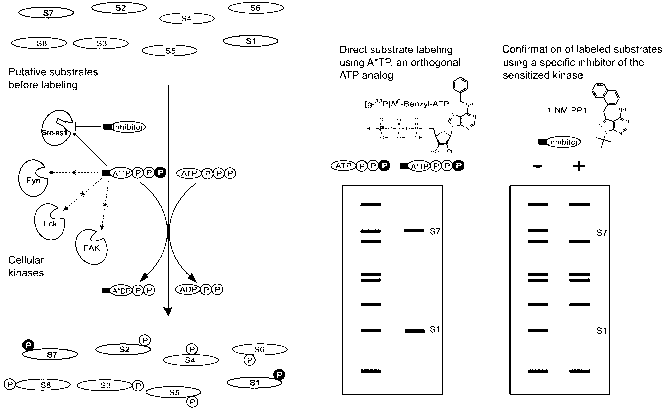 These loops can vary in sequence and length in order to optimize their specificity and affinity for antigen. Some studies have suggested that different size antigens may be recognized preferentially by distinct combinations of CDR loops that result in different binding site topologies [42,43]. For example, small haptens are frequently bound into deep pockets, peptides are bound in grooves, and large proteins usually bind a relatively flat binding site, but many examples exist that are exceptions to these broad generalizations. Although the CDR loops are the most variable portion of the Fab fragment, the structures of the L1, L2, L3, H1, and H2 loops have been classified into a limited number of defined or canonical conformations that can be predicted by the occurrence of particular amino acids at key structural positions [44-47]. The conformation of the base of the H3 loop can also be predicted with some reliability [46,48]; however, the portion of H3 that extends beyond the framework region of the Fab is too variable in sequence and structure to be predicted yet.